I have to apologize for not posting in quite some time. In the vortex of Christmas, retail, working and illness, I did manage to read and enjoy In Peppermint Peril. 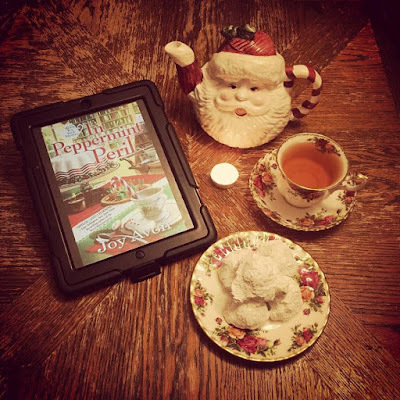 This Christmas, Callie Aspen returns to her childhood hideout Heart's Harbor, Maine where her great aunt runs Book Tea, a vintage tearoom where every sweet treat contains a bookish clue. Upon arrival in the fairy-tale snowy town, Callie is drawn into the preparations for a special tea party at Haywood Hall, the rambling house of Heart's Harbor's oldest resident, rich but lonely widow Dorothea Finster, who invited her estranged relatives, old friends and the elite of the town to make a mysterious announcement about her will. Believing they can touch a part of her fortune, everybody is determined to come, despite not liking each other or even their hostess. And Callie's old friend Sheila complicates things by using the tea party to announce her daughter's engagement, even though her daughter isn't sure she's in love with the young lawyer her mother thinks so perfect for her. Catering to people who each have their own agenda isn't easy for the Book Tea crew, especially once the valuable engagement ring goes missing and a dead body turns up in the conservatory. 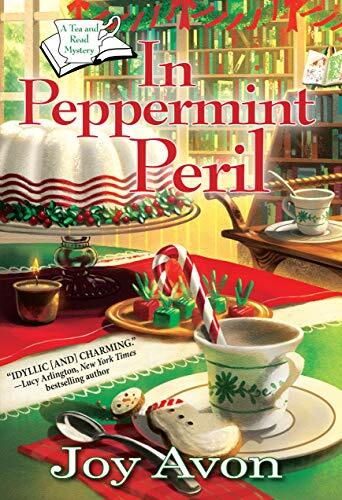 Can Callie and her great aunt use their love of clues to dig into the crimes and show their unhappy hostess and squabbling guests the true Christmas spirit?